Yesterday I shot six 9x12cm largeformat-sheets of Jussi. Three skateboarding tricks and this portrait. 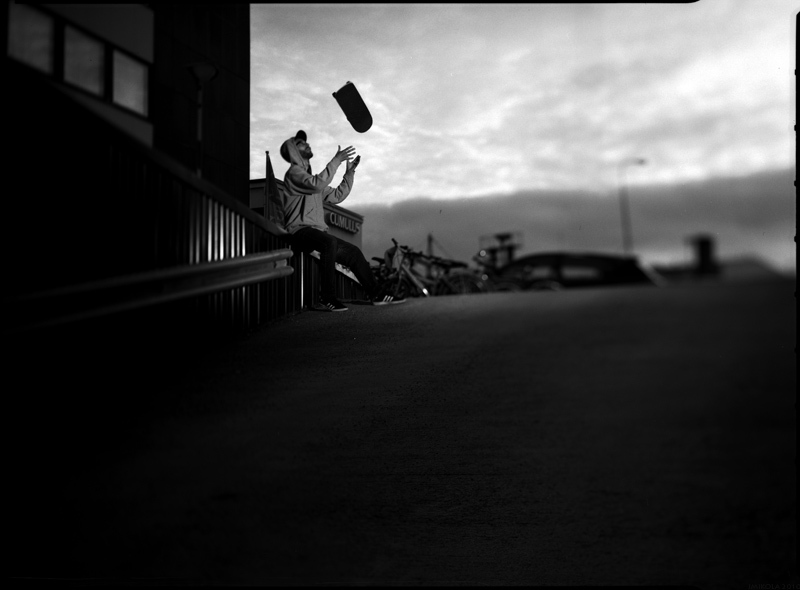 If you have seen largeformat-skateboarding-photography please tell me where. I like this shot a lot. But it makes for an odd advert for some hotel whose name begins with C.